Ken Shin Kan Karate-Do Youth programs are unique and have been serving West Palm Beach, Florida for the last decade. It has been developed over the years to truly complement your children’s growth and Development. We want to develop the leaders and strong minded individuals that can make quality choices on their own. As children progress through our programs, you will see their grace, agility, self confidence, and their abilities increase.. It begins by building a strong foundation of character development skills such as: leadership, respect, confidence, discipline, focus and much more. This program should not be looked upon as an extracurricular activity but rather as a life training program which will help shape your child into the leaders of tomorrow. The skills that will be learned throughout this process will be beneficial to our students and provide them with the knowledge and skills that will enhance almost every aspect of their life. 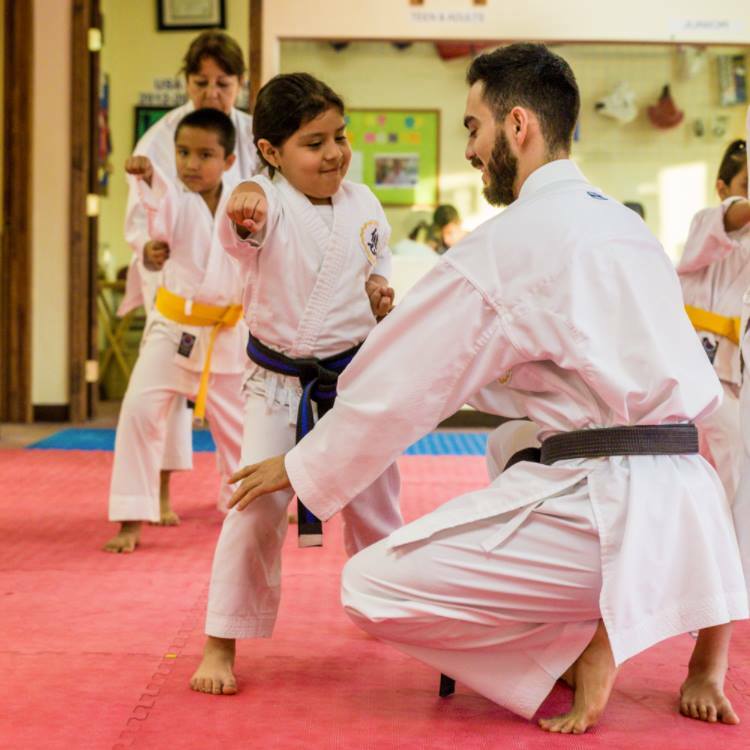 Etiquette and discipline are important parts of every Youth classes, but we are also here to have fun. Our instructors love teaching and it is very evident in their individual styles. We strive to maintain our family atmosphere and Ken Shin Karate-Do has become an extended family for many of us.